It's finally feeling like spring here in Ontario, Canada and I'm ready to change up my makeup routine! If you don't me I'm Nicole from Nick& Nicole +4. And I'm a makeup hoarder. The thing I'm addicted to lately (besides lipsense....thanks Shaunacey!) is highlighters. I still don't have a clue if I'm applying it correctly, but I rock it nonetheless. 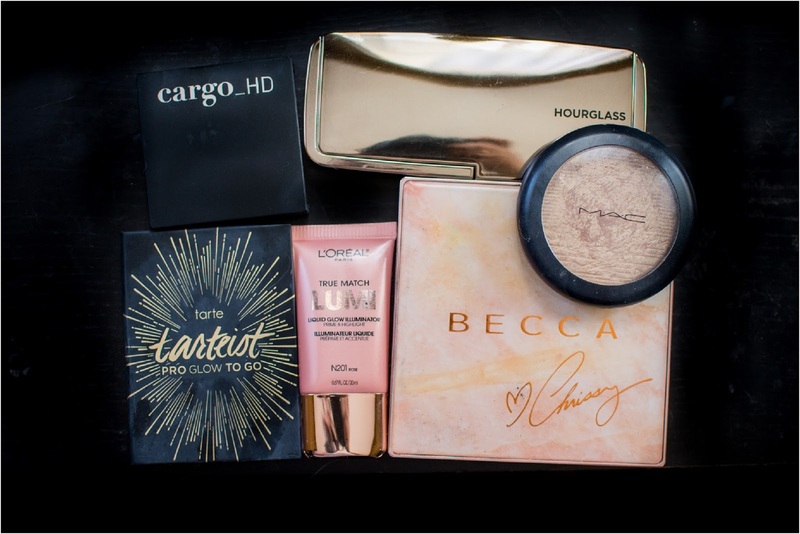 The Chrissy Tegan Becca Pallet I already spoke about here, and I love it. The one thing I find is that the highlighter is a bit dark for me. It's better when I'm tanned. 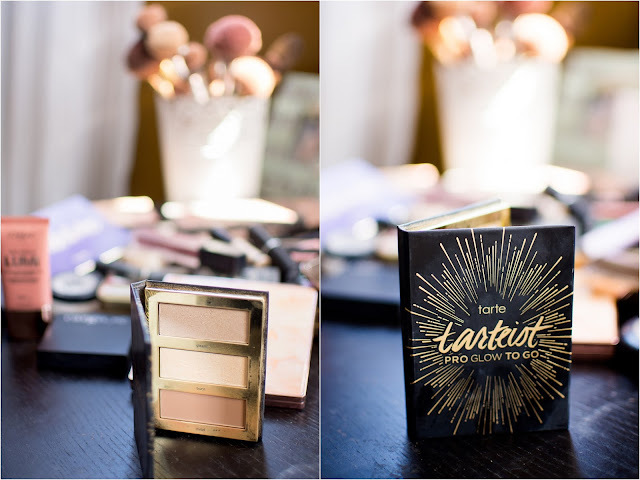 The Tartiest Pro Glow to Go was a gift at Christmas and its perfect for when I'm in a rush. And also easy to carry to the gym. I can do contour and highlight with this little guy and it saves room in my gym bag- score! 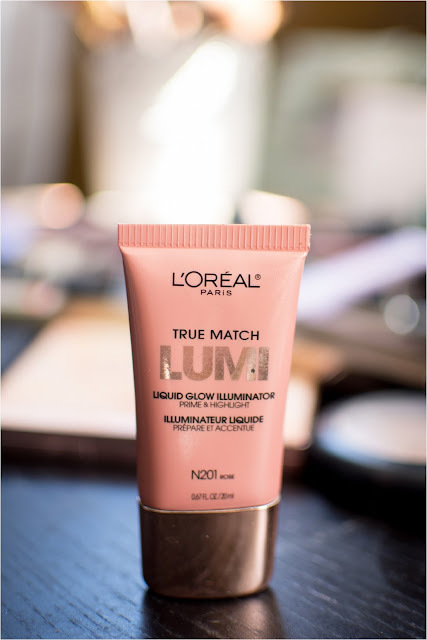 The Loreal Tru Match Lumi is liquid and actually pretty good considering it's available in the Drug Store. It's worth a try for a more dewy look. 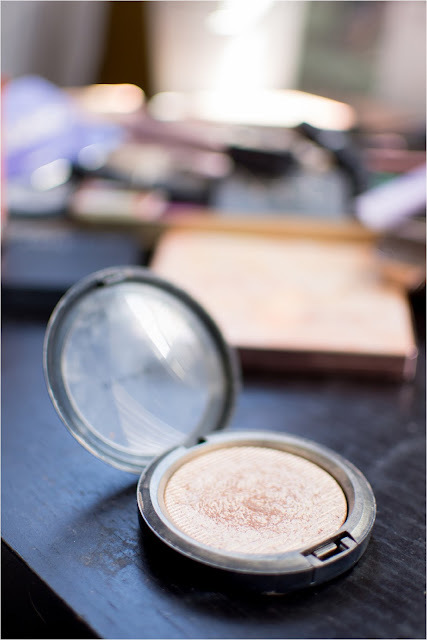 And this MAC highlighter, in OH DARLING is my most favourite thing of life. It looks wet and gives mega shine. If you're timid, this is not for you. What is everyones go to make-up product for spring? What are other great highlighters out there ( so I can buy them!) let me know in the comments or better yet link up!